Heck you are interacting with one right now! No matter what type of software engineer you are, at some point in your career you will have to interact with web servers. May be you are building an API server for a backend service. Or may be you are just configuring a web server for your website. 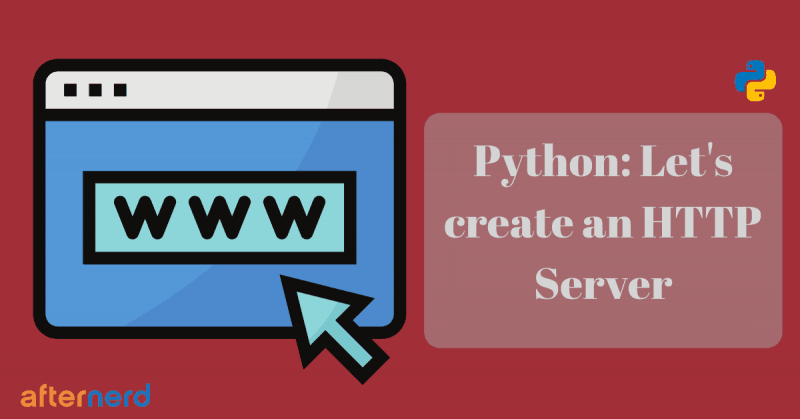 In this article, I will cover how to create the most basic http web server in Python. 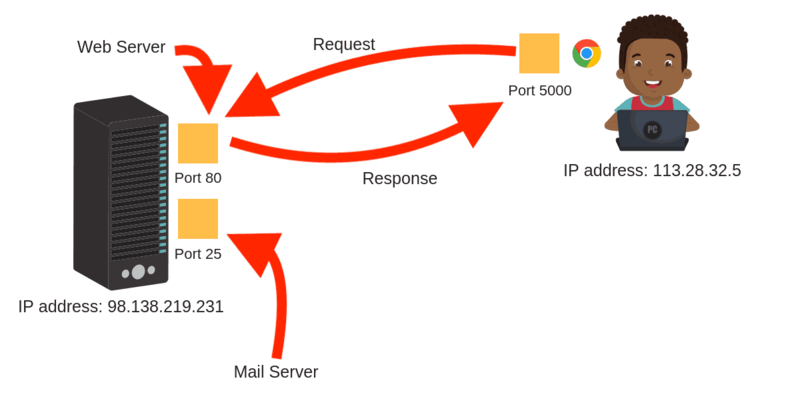 But because I want to make sure you understand what we are building, I am going to give an overview first about what web servers are and how they work. If you already know how web servers work, then you can skip directly to this section. 2- Handles this request and sends a response back to the user. Let me make my point less abstract. Imagine you pull up your Chrome browser and type www.yahoo.com in the address bar. Of course you are going to get the Yahoo home page rendered on your browser window. But what really just happened under the hood? Actually a lot of things have happened and I might dedicate a whole article to explain the magic behind how this happened. But for the sake of simplicity, I will abstract away some of the details and talk about this at a very high level. 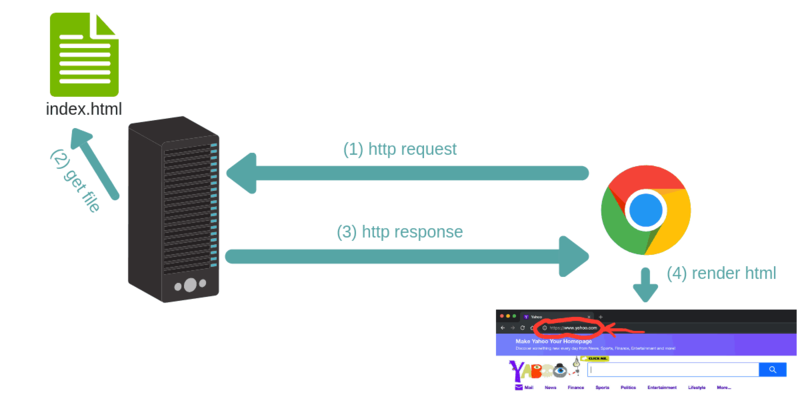 At a high level, when you type www.yahoo.com on your browser, your browser will create a network message called an HTTP request. This Request will travel all the way to a Yahoo computer that has a web server running on it. This web server will intercept your request, and handle it by responding back with the html of the Yahoo home page. Finally your browser renders this html on the screen and that’s what you see on your screen. Every interaction with the Yahoo home page after that (for example, when you click on a link) initiates a new request and response exactly like the first one. To reiterate, the machine that receives the http request has a software process called a web server running on it. This web server is responsible for intercepting these requests and handling them appropriately. Alright, now that you know what a web server is and what its function is exactly, you might be wondering how does the request reach that yahoo machine in the first place? In fact this is one of my favorite questions that I ask potential candidates in a coding interview. Let me explain how, but again….at a high level. Any http message (whether it is a request or response) needs to know how to reach its destination. In order to reach its destination, each http message carries an address called the destination TCP address. And each TCP address is composed of an IP address and a port number. I know all these acronyms (TCP, IP, etc..) might be overwhelming if your networking concepts are not strong. I will try to keep it simple but if you are interested in improving your knowledge of networking concepts, I highly recommend this book by Ross and Kurose. So where is that address when all you did was type www.yahoo.com on your browser? Well, this domain name is converted into an IP address through a large distributed database called the DNS. Do you want to check out what this IP address is? As you can see, the DNS will translate yahoo.com to any of the addresses above. 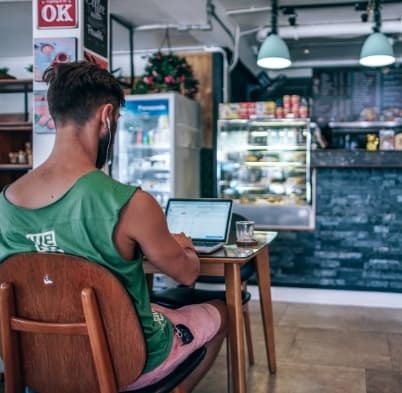 The IP address alone will allow the HTTP message to arrive at the right machine, but you still need the port number in order for the HTTP request to arrive exactly at the web server. In other words, the web server is a regular network application that is listening on a specific port. And the http request MUST be addressed to that port. So where is the port number when you type www.yahoo.com? By default, the port number is 80 for http and 443 for https, so even though you haven’t explicitly specified the port number, it is still there. By now you should have all the necessary information to create an http web server in Python. We want to create a simple http server that serves a static html web page. Let’s create our html page. With the web page that we want to serve out of the way, the next step is to create a web server that will serve this html page. Just like that we have a functional http server. Now let’s dissect this code line-by-line. First, as I mentioned earlier, a web server is a process that listens to incoming requests on specific TCP address. And as you know by now a TCP address is identified by an ip address and a port number. Second, a web server also needs to be told how to handle incoming requests. These incoming requests are handled by special handlers. You can think of a web server as a dispatcher, a request comes in, the http server inspects the request and dispatches it to a designated handler. Of course these handlers can do anything you desire. But what do you think the most basic handler is? Well, that would be a handler that just serves a static file. In other words, when I go to yahoo.com, the web server at the other end sends back a static html file. This is in fact what we are exactly trying to do. And that, my friend, is what the http.server.SimpleHTTPRequestHandler is: a simple HTTP request handler that serves files from the current directory and any of its subdirectories. Now let’s talk about the socketserver.TCPServer class. An instance of TCPServer describes a server that uses the TCP protocol to send and receive messages (http is an application layer protocol on top of TCP). Passing an empty string as the ip address means that the server will be listening on any network interface (all available IP addresses). And since PORT stores the value of 8080, then the server will be listening on incoming requests on that port. For the handler, we are passing the simple handler that we talked about earlier. serve_forever is a method on the TCPServer instance that starts the server and begins listening and responding to incoming requests. Cool, let’s save this file as server.py in the same directory as index.html because by default the SimpleHTTPRequestHandler will look for a file named index.html in the current directory. By doing that, you now have an HTTP server that is listening on any interface at port 8080 waiting for incoming http requests. It’s time now for the fun stuff! Open your browser and type localhost:8080 in the address bar. Awesome! Looks like everything is working fine. But hey what is localhost? localhost is a host name that means this computer. It is used to access the network services that are running on the host via the loopback network interface. And since the web server is listening on any interface, it is also listening on the loopback interface. You want to know what IP address corresponds to localhost? In fact you can totally replace localhost with 127.0.0.1 in your browser and you would still get the same result. You can actually start a web server with python without even having to write any scripts. By default, this server will be listening on all interfaces and on port 8080. Also starting from Python 3.7, you can use the –directory flag to serve files from a directory that is not necessarily the current directory. So the question now is, why would you ever need to write a script when you can just invoke the server easily from the terminal? Well, remember that you are using the SimpleHTTPRequestHandler. If you want to create your custom handlers (which you will probably want to do) then you won’t be able to do that from the terminal. Thank you for the detailed post. However, I am getting the following error when executing the python file. Great post! Simple but fun! Now onto the more complex stuff..